BRAIN SCANS SHOW WHY READING TO KIDS IS GOOD FOR THEM! Brain scans reveal that pre-schoolers whose parents read to them regularly show more activity in key areas of their brains. Reading to young children is well known to have benefits, including better language skills. And experts already urge parents to have a regular story time with their kids, starting at birth. Research findings offer hard evidence that frequent and regular reading to children feeds youngsters’ brain development. “It’s often said that reading builds brains,” said study leader Dr John Hutton, of Cincinnati Children’s Hospital Medical Centre. “That seems obvious, but you want to show that it’s actually true.” So Hutton’s team used functional MRI scans to measure real-time brain activity in children aged 3 to 5 years, as they listened to stories. Parents were interviewed about “cognitive stimulation” at home, including how often they read to their children. Based on their responses, the number ranged from two nights a week to every night. Overall, Hutton’s team found, the more often children had story time at home, the more brain activity they showed while listening to stories in the research lab. The difference was seen in a brain region involved in so-called semantic processing — the ability to extract meaning from words. There was “particularly robust” activity, the researchers said, in areas where mental images are formed from what is heard. Reading to children also sparks their imaginations. “When children listen to stories, they have to put it all together in their mind’s eye,” Hutton explained. Reading to children is far more beneficial than watching TV. Brandon Korman, chief of neuro-psychology at Nicklaus Children’s Hospital states that when a child is listening to a story, rather than sitting passively in front of a screen, the brain is in a “more active” state. Some researchers have voiced concerns that if young children spend too much time on devices, that could take away from human interactions that teach them about empathy, problem-solving and other critical life lessons. So parents, do spend special time – any time of day, any place but every day – in telling stories and reading to your little ones right from the time they are born. Even if tiny baby doesn’t yet understand the words, he will love the sound of your voice and the language she hears will form the building blocks of her own language abilities and ability to speak. Remember the early years are the most important period in life for brain development! And besides this, storytelling and reading time is a precious time of shared pleasure and building a strong, loving relationship with your little one. It’s not just a nice thing to do with your child, it’s important for their cognitive, social and emotional development! Get more information from the Valley FM website www.valleyfm.co.za or the Ilifa Labantwana website www.ilifalabantwana.co.za. Do listen every week and give your little one the best start in life! The DO MORE FOUNDATION [DMF], the CSI (Corporate Social Investment) arm of RCL FOODS, works in partnership with many organisations. For the Worcester ECD Indaba, the DMF collected and collated varied donated toys and educational materials to support early learning at Worcester’s community based ECD centres. Most of these centres struggle financially and often do not have enough toys and learning equipment for their young pupils. Megaron donated toys to the value of about R97 000. Barrows prints early learning games and posters for ECD centres (creches and pre-schools). A large variety of these were handed out. 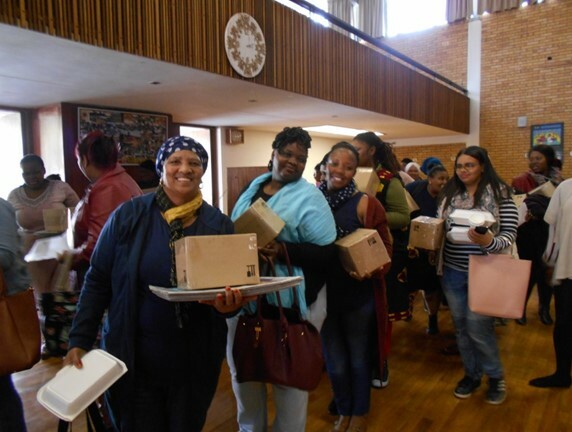 Nal’ibali – the national reading for enjoyment campaign – large numbers of story supplements were distributed. Wordworks – a specialist early literacy organisation has developed an App to support young children develop the necessary skills to enable them to read, write and do maths later. Pamphlets on uploading the App were distributed.